Santa Teresa is about 80kms south-east of Alice Springs. The Santa Teresa Dialysis room was set up for patients who had worked hard to become self carers and learnt how to do their own dialysis. 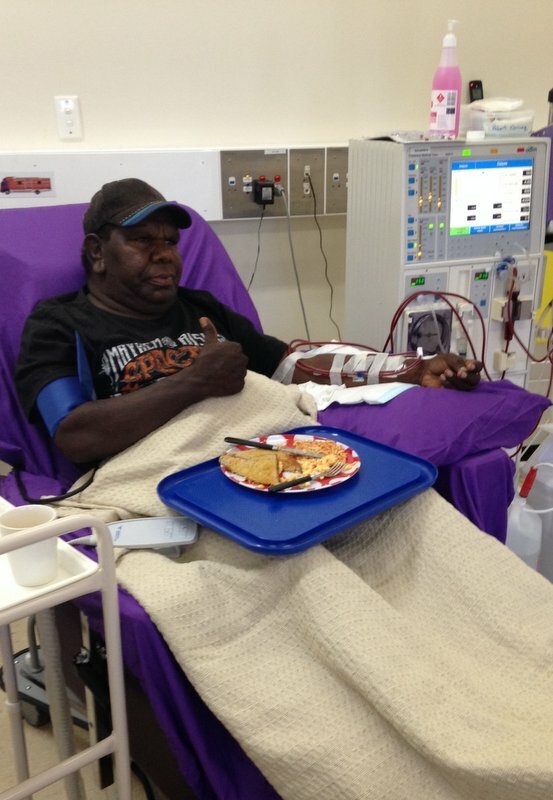 In 2014 Western Desert Dialysis was approached by members of the Santa Teresa Community requesting nurse supported dialysis to give everyone the opportunity to receive dialysis at home. The NT Government have supported the project by providing the dialysis machines and water treatment and the Rotary E-Club of Brindabella and the North Canberra Rotary Club raised $14,000 so that we could buy medical equipment and dialysis chairs. St Vincent’s Hospitals, Caritas and Cabrini are helping to fund nurses wages for the unit. The Santa Teresa Dialysis room is part of the Santa Teresa Health Centre who have been a huge support in getting the unit up and running.